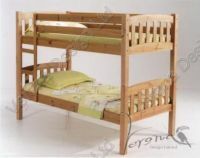 Welcome to mybedroomonline.co.uk, here you will find everything for your bedroom from pine beds to wardrobes by top brands such as Julian Bowen and Verona Design Ltd.
We have a huge selection of beds, wardrobes, bedside tables, chest of drawers and all bedroom furniture that will make any bedroom complete. Because we know just how important it is to find the right furniture for your bedroom we supply a huge range of bedroom furniture so that we can offer you the best deals and the biggest range. 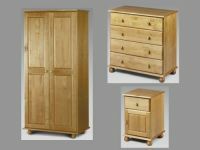 If you are looking for high quality pine bedroom furniture then look no further as we have a huge range of styles available. Our hand-made pine furniture range is the latest addition to the site, also available in different finishes to suit any location. 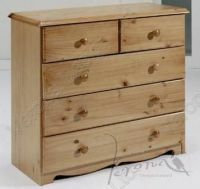 In addition to the high quality beds that we stock, we are happy to be able to offer our customers a great choice of solid pine and oak furniture such as wardrobes, chests of drawers and dressers, which complement the beds perfectly and help to create an attractive space where you can retreat after a hard day’s work. As a family-owned business in the UK, we understand the needs of families across the country and do our utmost to ensure that all our products offer great value for money without compromising on build quality or the materials used in their construction. Although the company itself is relatively new, we have a great deal of experience in the furniture industry and we aim to make sure that every item we sell represents the best of what is currently available in Great Britain. Our business model enables us to keep costs low so if you are looking to buy cheap bedroom furniture packages from an online store that are durable and good to look at then you have come to the right place. Some assembly is required for most of the items we sell as they are flat-packed to save you money. 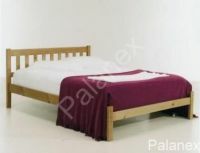 Our range of furniture includes solid pine beds made to both rustic and modern designs, in various sizes. As these units are handmade, we are also able to provide customers with a quotation for a bed made to their individual specifications. To take advantage of this special service, all you need to do is get in touch with one of our advisors on the number provided and they will take down the details of your request and let you know how much it will cost. The delivery time for custom orders may be slightly longer than for other items but if it means that you get exactly what you want then we think it is worth the wait. The timber used in the construction of these handmade beds comes from a sustainable source so there is no need to worry that your purchase will have a negative effect on the environment. Whether you are interested in childrens bedroom furniture, spacious wardrobes designed for adults or anything else from our extensive range, you can be sure that we have taken ecological concerns into account, on our customers’ behalf, to minimise the impact that our business activities have on the natural world. All the prices that you will find on our site are inclusive of delivery to addresses in mainland England and Wales. Unfortunately, we have to add a small surcharge to deliveries north of the border as we are located at the other end of the United Kingdom, in Cornwall. Once an order has been placed, we do everything in our power to ensure that it arrives at your home within 30 days, sometimes much sooner. However, if you require your order sooner than this, we do have a 48-hour service that is available for most items, at an additional cost. Before goods are dispatched, you will be contacted to ensure that you are available on the day they are due to arrive. If this is not the case then we can of course reschedule delivery for a date that is more convenient. For an extra fee, it is possible to specify a Saturday delivery and all our wooden bedroom furniture is properly packed to make sure that nothing is damaged en route. Any goods that are found to be defective will be replaced as soon as possible although we have procedures in place to minimise the chances of this happening.